Looking for a twist on your typical apple pie recipe? Apple Cranberry Crumble Pie is just different enough to be special - and it may just be the perfect holiday dessert. It's certainly one of our faves. I’ve been baking this apple cranberry pie for family Thanksgiving and Christmas dinners for years. 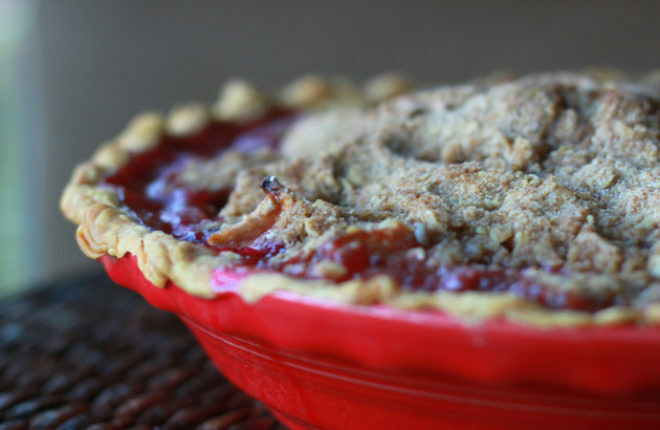 I love that it’s an apple pie, so traditional for the holidays, but the cranberries and crumb topping give it a special – and festive – vibe. Oh, yes, the crumb topping. The liberal buttery-crisp top blankets the perfectly tender apples and tart cranberries. Served warm with a little vanilla ice cream? Pie nirvana. 1 pie crust for the bottom. I (hiding my face) use refrigerated crust sometimes, because I'm often short on time and have yet to master pie crust. Make the crumb topping. Mix the flour, brown sugar, oats, and cinnamon in a medium bowl. Add the butter and cut in with your fingers until the mixture resembles large coarse crumbs. Make the filling. In a large bowl, mix the apples, cranberry sauce, sugar, vanilla, and cornstarch until well mixed. Place the pie crust in a pie dish, and pour the apple filling into the shell. Mound it a little in the middle. Sprinkle the crumb topping over the apples. There will be a lot. Pack it down a bit, if necessary. Place the pie on a baking sheet, and place in the oven. Bake for about an hour and 10 minutes, or until the apples are tender and the crust and top are golden brown. Transfer to a wire rack and cool for at least 15 minutes. 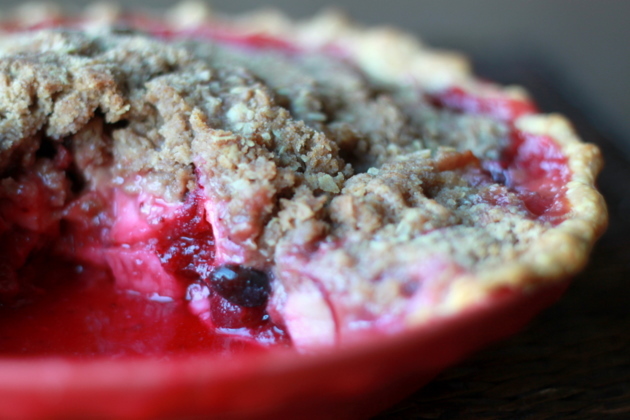 The cranberries give that pie such a beautiful color. I love anything with apples, so I am sure this would be an amazing pie. What a lovely color the cranberries give! Your photos are amazing… Nicely done! 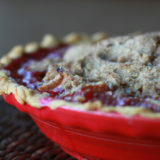 I like the crumble topping….and what a beautiful color the cranberries gave the pie. Yummy. This was sooo yummy, tastes even better then picture.